Did you know? Dark Souls is hard! A lot of people don’t know that. Once every few hours while playing, you die- in real life. It’s just like Demon’s Souls! In this feature, we’re going to talk about just how tough it is. We’re going to take a look at the fifteen hardest areas in the entire Dark Souls series. It’s not going to be easy, either- basically, we could have just made a feature with three entries, one for the entirety of each game. But that would be cheating, and you’d bombard us with criticism and call us lazy, so we’re not gonna do that. Also, we’re only going to talk about Dark Souls. Bloodborne and Demon’s Souls don’t count, because they’re not frigging Dark Souls. Do you see a “dark” in their names? 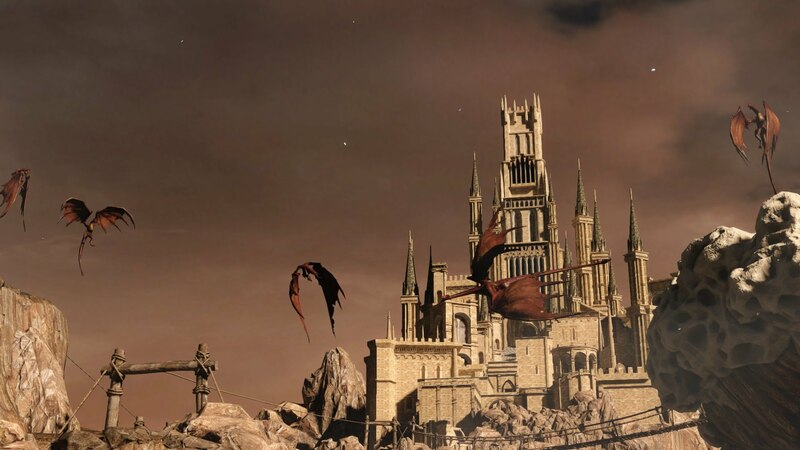 Fun fact- Dragon Shrine is also known as “screw you, black knights”, and “that’s it, I’m finally going to quit this game”. This area is full of enemies that want nothing more than to see you pull your hair out in nervous frustration- but then again, every area is. If you have a tanky build that can effectively block large amounts of damage, Dragon Shrine may not pose that much of a problem to you, but for other mortals, the best course is often to either take a bow and arrow and cheese your way through from range, or just say “screw it” and run past every enemy you see.